Much slaughter house waste e.g. waste blood & feathers. These are waste feedstocks which can generally be used in composting and biogas plants without pretreatment as stated by Wikipedia. So, the BioChop Hygienisation Unit is great news enabling AD Plant operators to utilize Category 3 animal by-products as part of their feedstock. "Landia’s new free-standing BioChop Hygienisation Unit mixes and heat treats Category 3 animal by-products so that the resulting thin substance can be used as an energy-efficient substrate in biogas plants. Organic remnants that are reduced in size by the Biochop are liquefied, heat-treated and pumped back out as a valuable raw material in closed pipes by one highly efficient process to an AD storage tank or tanker for transportation to a biogas plant. In addition to significant cost savings on labour, transport and disposal. Landia’s Biochop minimises foul odours and prevents pests from entering residual products. 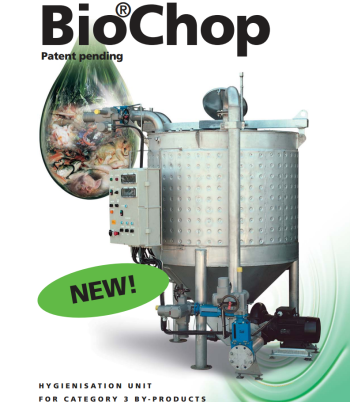 Suitable for AD operators, especially in enabling them to utilise Category 3 animal by-products as part of their feedstock, BioChop can also be bring benefits when installed for the poultry, fish, fruit and vegetable processing industries." The BioChop Hygienisation Unit is described in the online (pdf) leaflet here. The use of macerators in the anaerobic digestion and biogas industry has the potential to raise yields from many feedstocks, and by chopping up the larger lumps and particles in a digester, will certainly allow better mixing with a lowering of the viscosity of the mixture in the reactor. It may also help to cure pipe blockage problems in systems where these have proved to be troublesome. Reduced potential for pipe blockage. Leaders in this field in the UK are Landia, and now Börger with its new specialized biogas product. 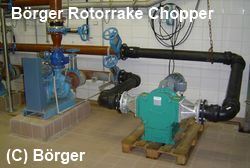 Börger manufactures the Rotorrake chopper/ macerator in Europe specifically for biogas plants. The Rotorrake is a robust, single-shaft coarse chopper. In common with competitor products, these macerators are easy and economical to install into most operating biogas tanks, without major disruption to the process and/ or the contents. Börger's many years’ of experience in the European market has resulted in a precision engineered system utilizing heavy duty components for trouble free service. Börger has longstanding experience in the grinding of solids in the most varied of applications. Börger’s new Rotorrake builds on that experience and has been designed for simple yet highly effective size reduction of coarse solids in AD plants, where reversible knife rotation against fixed counter rotating knives bring about the Rotorrake’s course macerating effect for chopping and grinding tough solids such as manure and crop feedstock. Börger reports that they are easy to service with their "Maintenance in Place (MIP)" capability that includes a quick-release cover and single screw cover removal for access. The Rotorrake is also modular and has a small footprint. Stated to be "blockage-free in operation", Rotorrake achieves its highly effective size reduction of solids with a throughput of up to 800m3/m (3,500 usgpm), with centrifugal forces aiding the collection of any stones or debris that drop into its large stone trap, which can then be easily emptied via a front cover. 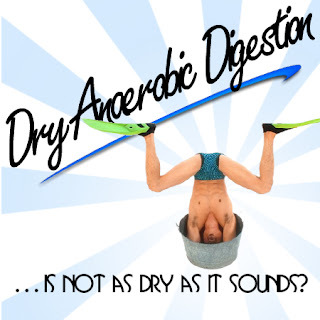 You may well be amused to hear that the Anaerobic Digestion process, which has rightly been getting an increasingly favourable press recently worldwide, is now also picking up a PR publicity bonus from the UK meat scandal. Read the details in our first link below from the UK's Guardian Newspaper. However, the anaerobic digestion industry is much more quietly taking on another role, which in the long-term will be much more important, which arises from the ability of AD Plants with suitable pasteurizing equipment, and suitably permitted to accept potentially infectious wastes is likely to increasingly take on the role of disposal route as the disposal method of choice for the carcasses of fallen animals. ""The products withdrawn from stores will be sent to anaerobic digestion plants," the spokeswoman said. "This is the most efficient method of generating energy from waste, and part of our broader 'zero food waste to landfill' strategy. We are the UK's ...The Guardian"
"RESEARCHERS at Harper Adams University have been awarded more than £150,000 to investigate how anaerobic digestion (AD) can be used as an on-farm ...www.farmersguardian.com/home/...could.../52777.article"
"UK - New streamlined environmental permitting regulations for anaerobic digestion plants could be 'timely boost' for industry, says NNFCC.www.thebioenergysite.com/.../permit-for-anaerobic-digestion-..."
So, this must surely be a good month for the AD industry in the UK. 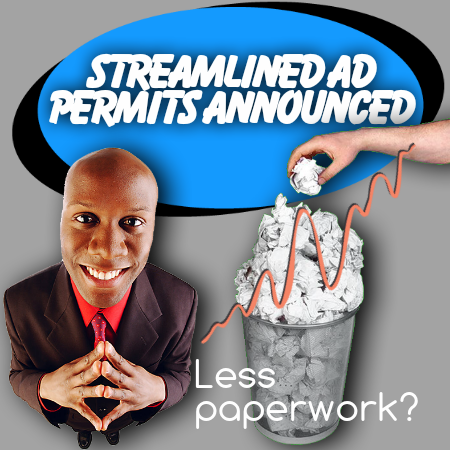 Tell us whether you think this help with permitting will really assist you. So called "Dry Anaerobic Digestion" is the latest buzzword this week for MSW AD plants in the US. While I was researching this post I found at least 6 recent articles, each giving a different angle on the New Monterey, California Anaerobic Digestion Plant. 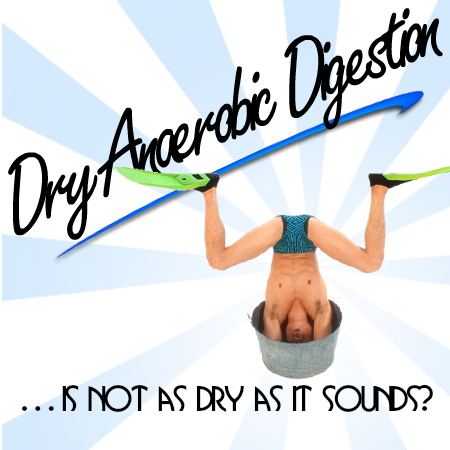 I have included some of those dry anaerobic digestion technology links below for your reference. "The Monterey (Calif.) Regional Waste Management District's new waste conversion facility is set to go online in mid-February, the first in the state -- and second in the nation -- to use dry anaerobic digestion technology, The Monterey County Herald ..."
"The Monterey (California) Regional Waste Management District and San Jose- based Zero Waste Energy LLC have opened an anaerobic digestion operation in ...waste360.com/.../anaerobic-digestion-operation-opens-californ..."
"The Monterey Regional Waste Management District (MRWMD) and Zero Waste Energy, LLC (ZWE) held an open house today introducing the country's first dry anaerobic digester (AD) utilizing the SMARTFERM technology for use in processing organic waste ..."
And, if you live in the US, you can even apply for the Plant Manager job! "View all details on this Plant Manager - Anaerobic Digestion vacancy on reed.co. uk, the UK's #1 job site. You can also search for all similar roles now.www.reed.co.uk/jobs/plant-manager-anaerobic.../22551134"
What is dry anaerobic digestion technology? The "dry anaerobic digestion" process has been in use in Germany for at least 10 years, where the Linde company were one of the first to adopt this process. unfortunately, we have found that this product is no longer on the market in recent years though. In Europe dry anaerobic digestion processes are far from being "dry", however, they are less "wet" than their counterpart "wet anaerobic digestion processes. The lowest moisture content dry AD processes can look very like an in-vessel composting plant with heaps of organic material being placed in the digestor tunnels by wheeled plant and conveyors on a batch process basis. At the other end of the water-content spectrum, these processes may be simply higher solids biogas digester systems than the standard digester. An example of a dry anaerobic digestion system is the Dranco system described in the link above. Reduced digestate (this can be an advantage for municipal waste when digestate liquids may be of low cash value due to the fact that the digestate liquids may be unsuitable for crop fertilizer use. If there are other advantages than these that you know of please add by commenting. Take care energy from waste people - Don't let the Waste Hierarchy Bite! The topic today is the UK Waste Regs. and how important it is when planning a UK energy from waste project, not to "fall and get hurt by" the Waste Hierarchy! The link above will take you to a new page which is a great starting point for anyone looking for an official page setting out the current requirements for compliance of new AD plants (and also feedstock changes to existing energy from waste facilities), with UK regulations and we recommend that those starting out to plan an AD Plant/ Biogas Plant in the UK will find this new page very useful. It starts by explaining the current UK obligation for all energy from waste projects, which exists under the revised EU Waste Framework Directive to apply the waste hierarchy, before deciding on suitable EfW/ AD Plant feedstocks. Take care to consider this as it ranks waste management options in order of environmental preference. The important point here is that you will need to be able to show that you have complied with the first priority of waste reduction, when you submit for a permit for any waste to energy project. "Recovering energy from waste is only appropriate for waste that cannot be prevented, reused or recycled with less greenhouse gas emitted. Energy recovery can be a sustainable option for waste that would otherwise go to landfill and create landfill methane emissions." From which all AD and biogas plant project planners must realize that they mean that you will have to be able to show that suitable actions have already been taken to follow the heirarchy, and that is usually BEFORE it arrives as your feedstock. In most cases this will not be difficult, and the main action will usually be to obtain evidence that your feedstock source organisation has applied the waste hierarchy before the waste arrives at your energy from waste plant. Nevertheless, this is an important step in obtaining UK permits, and it is easily missed.